As we previously mentioned “Dessert” at the Tennessee Truffle deserves a place on its own, so here goes. Summer Pound Cake – Macerated Plant City strawberries, buttermilk ice cream, popping sugar and lemon verbena syrup. 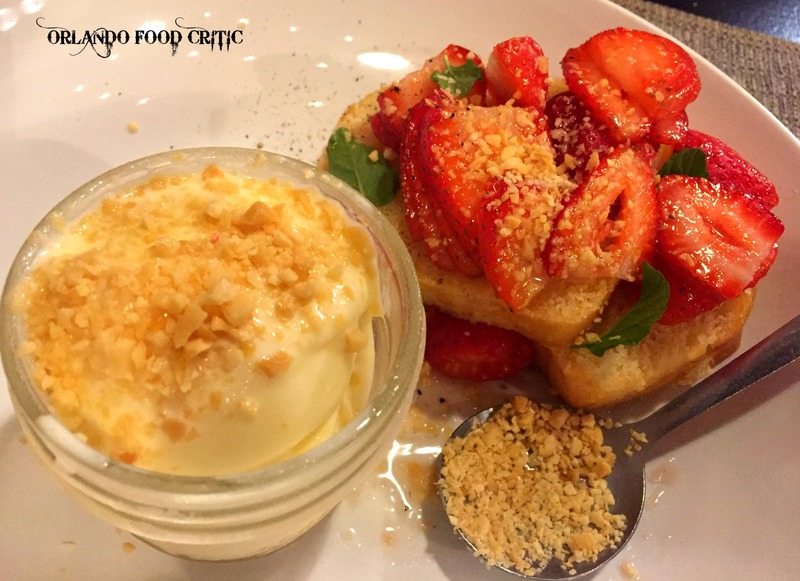 Combine the popping sugar and the buttermilk ice cream together and you have an outstanding dessert on its own, add the moist pound cake and subtly sweet strawberries and WOW, this desert “Rocks”. As usual Nat combines some interesting flavors that really set his dishes apart and this dessert is no exception as the hint of lemon verbena syrup, sometimes called “The Queen of the Lemon-Scented Herbs”, gives this dessert a vibrant finish. Lemon verbena was a favorite ingredient in perfumes in late 1700s Europe, and it had a moment of fame in “Gone with the Wind”, as it was Scarlett’s mother’s favorite plant. Whatever its history we “Frankly don’t give a damn” it was amazing. Other dessert options are equally as delicious and varied, we could have chosen Popcorn Brulee, or Birch Beer Float, or even a Chocolate Gravy Biscuit, but we had to leave options for our next visit. What’s next for Nat and the Tennessee Truffle? Well he tells us that there are some new menu items in the works and Sunday Brunch could be his next venture. Whatever he does we are sure it will be amazing and hope to tell you all about it right here soon. Tel: 407 942 3977 for more information or visit their Facebook or Instagram page.